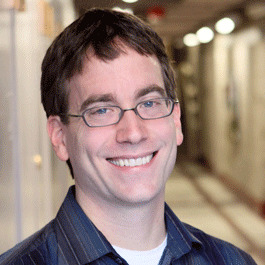 Todd Murphey received his undergraduate degree in mathematics from the University of Arizona and a PhD in control and dynamical systems from the California Institute of Technology. He was a postdoctoral scholar at Northwestern University for a year, after which he worked for the Aerospace Corporation in the Electro Mechanical Control Department. He was an assistant professor of electrical and computer engineering at the University of Colorado at Boulder from 2004 to 2008 and is now an associate professor of mechanical engineering at Northwestern.